These are just traditional 1v1 matches of football. This does not differ much from the offline experience. There are two types of online games, Ranked and Unranked. Ranked affects your online rank and Unranked does not. Note that custom matches can be either of the two types and you can also use the FIFA 11 Lobbies to find an opponent. 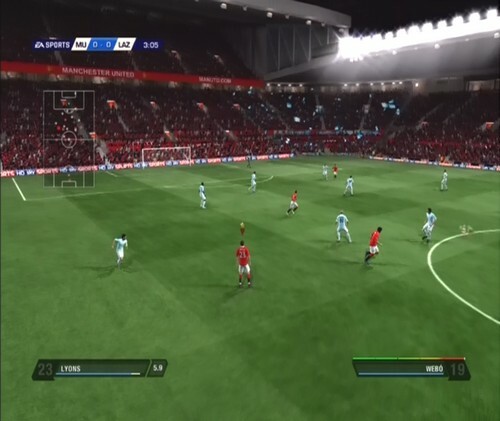 Online Team Play is exactly the same as playing offline Career Mode - Player, except every player on the pitch is controlled by another online player. You can see the article on Career Mode – Player here. The FIFA 11 online version of this is very now, at least at the time of writing. However, if for some reason you struggle to find a match you can always invite your friends to play. The FIFA 11 Pro Clubs game mode allows you to create your own club and invite your friends or other online players to join. You play with your created Virtual Pro who you can equip with a Game Face to use, and you and your teammates can also download the game faces of the members of the club. You can either join an already created team or create your own and bolster your squad with other Virtual Pros. By winning Ranked Matches and playing well with your team, you can advance up the leaderboard by accumulating points. There is also an individual Virtual Pro leaderboard to see who ranks among the top Pros.